Marriott International announced that the SpringHill Suites Athens Downtown/University Area is scheduled to open this Monday, July 2, 2018. 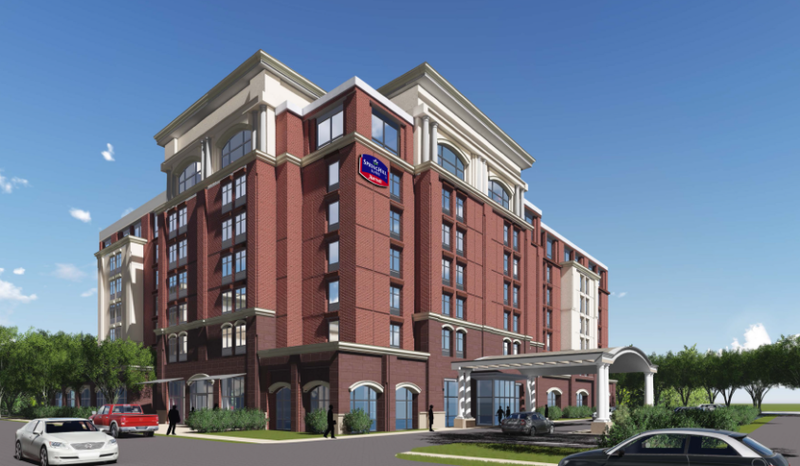 The 200-suite hotel, located at 220 South Hull Street, will operate as a Marriott franchise, owned by Motel Enterprises Inc. and managed by Benson’s Hospitality Group of Athens, Georgia. The SpringHill Suites Athens Downtown/University Area is located downtown and adjacent to the University of Georgia. 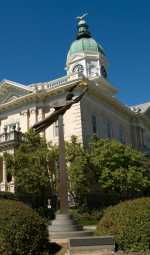 The hotel offers guests convenient access to the Classic Center, Sanford Stadium and the Georgia Theater. Ideal for business and leisure travelers alike, the new hotel offers a little extra space with suites larger than a typical hotel room. Separate living, working and sleeping spaces provide guests with flexibility and functionality. The hotel offers comfortable beds, soft linens and plush pillows to allow for an optimum night’s sleep. Each suite also features the SpringHill Suites’ custom, three-in-one, West Elm sofa which converts from a sofa to a daybed to a trundle bed – without sacrificing its stylish good looks offering additional space for relaxation, as well as hand-selected artwork with a local theme. The designated work space offers a well-lit desk space to ensure maximum productivity for those who need to get down to business. Each suite also comes with a microwave oven and a mini-refrigerator. Featuring a new design that adds depth and sophistication to the décor, the hotel’s lobby is a great venue for conducting casual meetings or simply to socialize with SpringHill Suites’ enhanced evening experience. Guests can enjoy delicious food and beverage offerings, including local craft beer and premium wines available through the 1918 Lounge or the 24/7 Market. Daily complimentary breakfast is filled with hot, healthy and indulgent choices including fresh strawberries, steel cut oatmeal, cold cuts, cheeses and much more. This is SpringHill Suites’ way of making sure guests have a good start to their day. The hotel also offers business services, complimentary Wi-Fi, same-day dry cleaning, guest laundry facilities, a fitness center and two outdoor patios, one that offers a fire pit as well as television. The property also offers 2,748 square feet of meeting space to accommodate meetings and functions of up to 160 people.